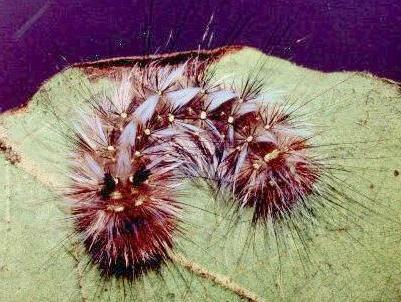 This is a brown Caterpillar with white tussocks of hair and two rows of pale yellow dots along its back. 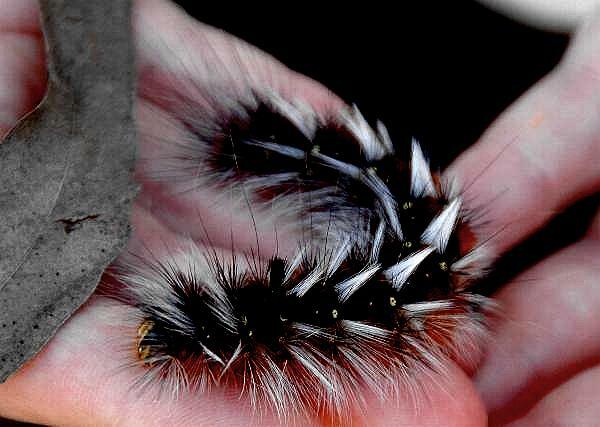 There are also a pair a black hair pencils on the thorax. Cadaghi ( Corymbia torelliana, MYRTACEAE ). 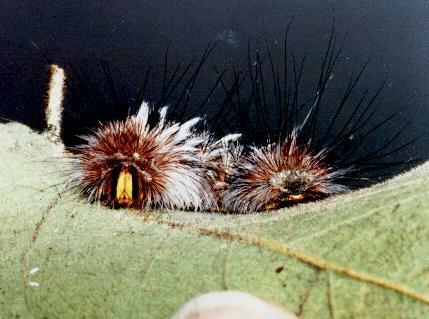 The caterpillar grows to a length of 5 cms. 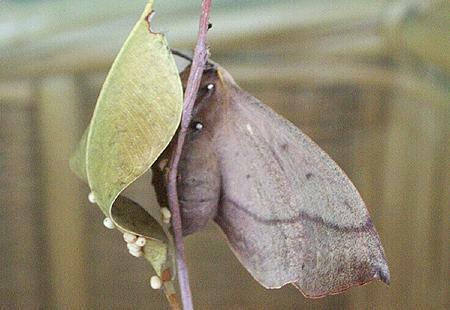 The caterpillar normally pupates between the leaves of the foodplant in a voluminous off-white cocoon. 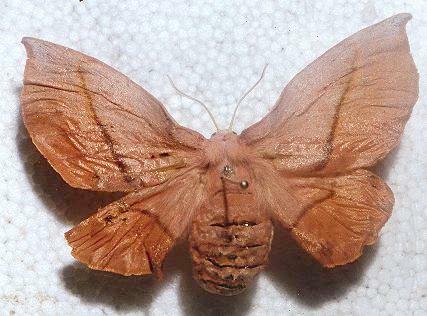 The adult moths vary from yellowish to reddish brown, with a dark line extending across each wing, often demarking a dark marginal area, and sometimes having black zigzag lines across each wing. 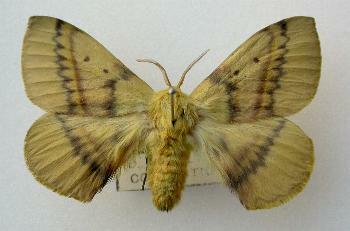 The female has a wingspan of about 7 cms. The male has a wingspan of about 5 cms. the south of Western Australia. Melbourne University Press, 1990, p. 395. Part 4 (1855), p. 901.